Pickleball Kelowna Action at the Pickleball Canada National Tournament begins Friday at 8 a.m. Within 48 hours of registration opening up in early March, there were 730 names on the list looking to gain entry into the 2018 Pickleball Canada National Tournament. With only 430 spots available for the three-day event this weekend in Kelowna, it's evident the popularity of pickleball continues to grow. Featuring competitors from across Canada and parts of the U.S., Pickleball Kelowna is playing host to the national championship tournament for the fourth consecutive year. The tournament will again be once staged on 12 dedicated pickleball courts and another 16 temporary courts at the Parkinson Recreation Centre. 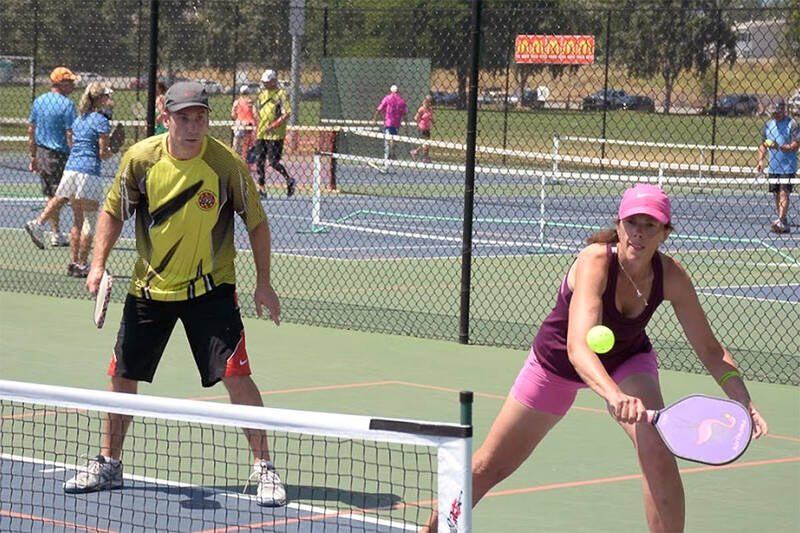 With Pickleball Canada's mandate to expand the game across the country, Wayne Pierce of Pickleball Kelowna expects the governing body will choose a new location for the 2019 nationals. That doesn't mean Kelowna won't continue to pursue national events down the road, but Pierce says any future bids would be greatly aided by a new, dedicated pickleball facility. "Our membership is growing every year, we're at the point where we need more space, a dedicated pickleball facility if we're going to keep up with other cities and the expansion they're undergoing," said Pierce. "One of the reasons we host this is to try put money in the bank and show the city we're serious about a dedicated facility," said Pierce. "The city has been good to us, we just want to be in a position show them we are ready to move forward." Pierce said regardless of when the nationals return to the city, Pickleball Kelowna will continue to host an annual tournament, perhaps under the title Kelowna Open. The unofficial Pickleball capital of Canada, Pickleball Kelowna has now surpassed 400 members and continues to grow. A sport now played by people all ages, Pickleball is gaining ground all across Canada, but is even more popular in the U.S. where more than 2.8 million people play the game. Among the top players competing this weekend in Kelowna are Americans Tyler Loong and Adam Stone. Canadians Mark Renneson and Marco Jankowiak will be joined on the open draw by local favourite Jordan Renwick, one of about 80 Kelowna athletes entered in the tournament. To report a typo, email: edit@kelownacapnews.com. Singles, doubles and mixed action will take place in the following divisions: 3.0, 3.5, 4.0, 4.5, 5.0, Open and Senior Open (50+). The tournament kicks off Friday morning at the Parkinson Rec Centre with the opening ceremony at 8 a.m.
@capnewsportswhenderson@kelownacapnews.comLike us on Facebook and follow us on Twitter.